The construction industry unemployment rate fell to 14.7 percent in March, down from 15.7 percent in February, according to the April 5 employment report by the U.S. Department of Labor. 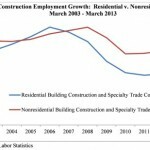 The nation added 18,000 new construction jobs in March. Year-over-year, the construction industry workforce has expanded by 2.9 percent, or 162,000 jobs. Specialty trade contractors, the largest subsector within the construction industry, added over 23,300 jobs in March, and have grown by 112,500 jobs, or 3.2 percent, compared to the same time last year. Among specialty trade contractors, residential specialty trade contractors added 12,500 jobs for the month and 72,900 jobs, or 5 percent, from one year ago. Nonresidential specialty trade contractors gained 10,800 jobs for the month and added 39,600 jobs, or 1.9 percent, during the past year. 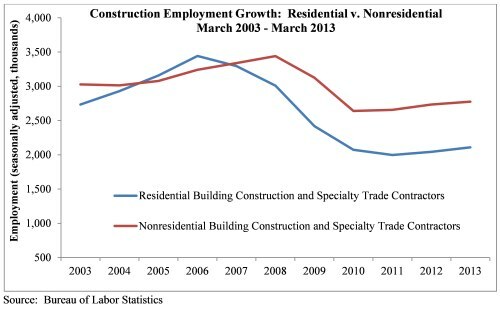 Other construction subsectors also continued to expand. Nonresidential building construction employment rose by 1,000 jobs last month and is up by 21,100 jobs compared to a year ago. Employment in this sector stands at 682,100 jobs. Employment in the residential building segment expanded by 2,300 jobs in March and is up by 4,900 jobs, or 0.9 percent, compared to one year ago. 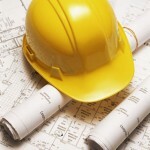 Heavy and civil engineering represents the only subsector that lost jobs for the month of March and is down 8,800 jobs. However, employment in this subsector remains 2.7 percent, or 23,700 jobs, above the March 2012 level. Overall, the nation added 88,000 jobs in March and has added 1.8 million jobs during the past twelve months. Last month, 95,000 jobs were added in the private sector while the public sector contracted by 7,000 jobs. The national unemployment rate fell to 7.6 percent in March, down from 7.7 percent the previous month and down from 8.2 percent in March 2013. “ABC has been warning for several months that growing fiscal headwinds emerging from Washington, D.C., would eventually interrupt the momentum of the U.S. economic recovery,” said Associated Builders and Contractors Chief Economist Anirban Basu. “That time may have come. “Many economists were surprised by the vigor of the U.S. economy given the higher tax rates that took effect on Jan. 1, the sequestration and continued wrangling in Washington,” remarked Basu. “However, should the slowdown persist as sequestration-related cuts steadily grind into the economy, construction will begin to feel the sting later this year. 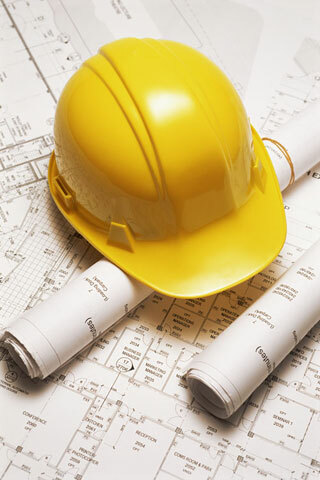 “In March, construction held up better than a number of other industries in part because of Hurricane Sandy-related rebuilding and the fact that construction’s cyclical timing tends to lag that of the broader economy,” Basu stated. “For example, construction employment expanded by 18,000 jobs last month, with employment among specialty trade contractors rising by 23,000 jobs.